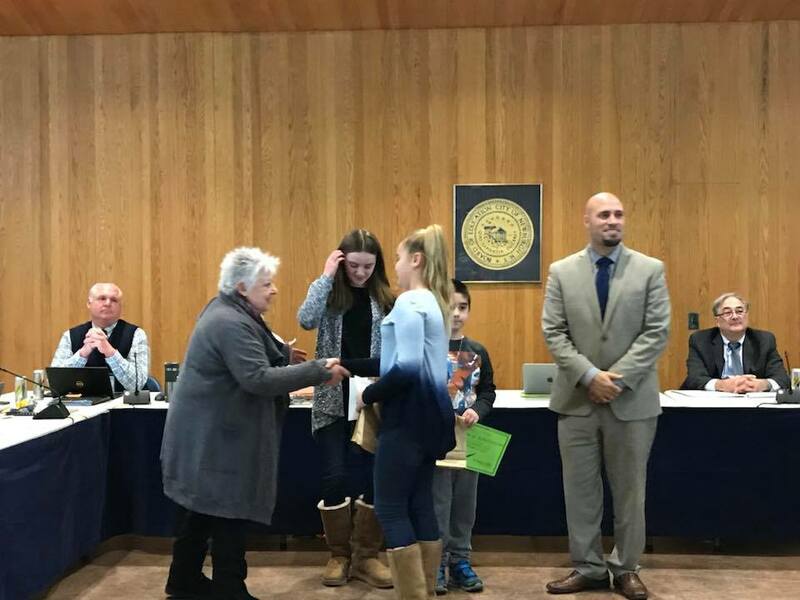 Students recognized for participation in the District wide 4th Annual Winter Card Contest! 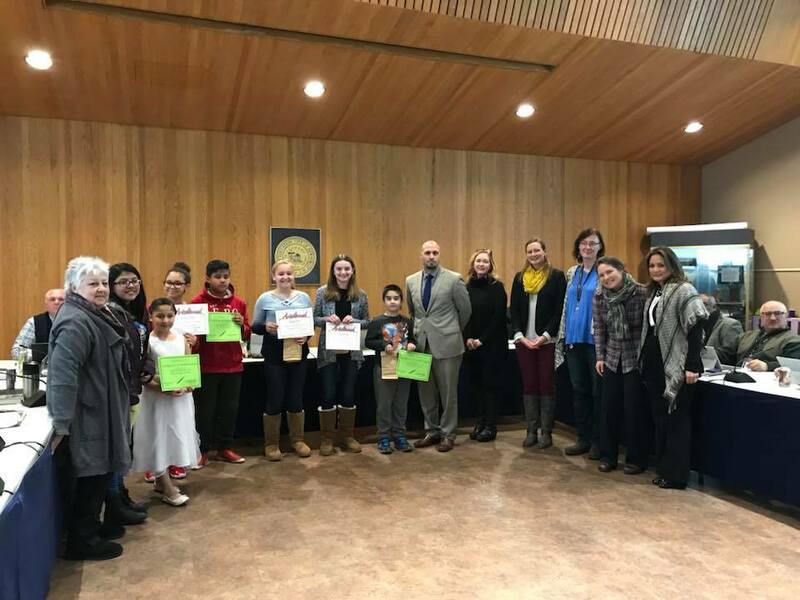 At this week's Board of Education meeting, students were honored for their participation in the districts 4th Annual Winter Card Contest with the support of their teachers and administrators also pictured here. 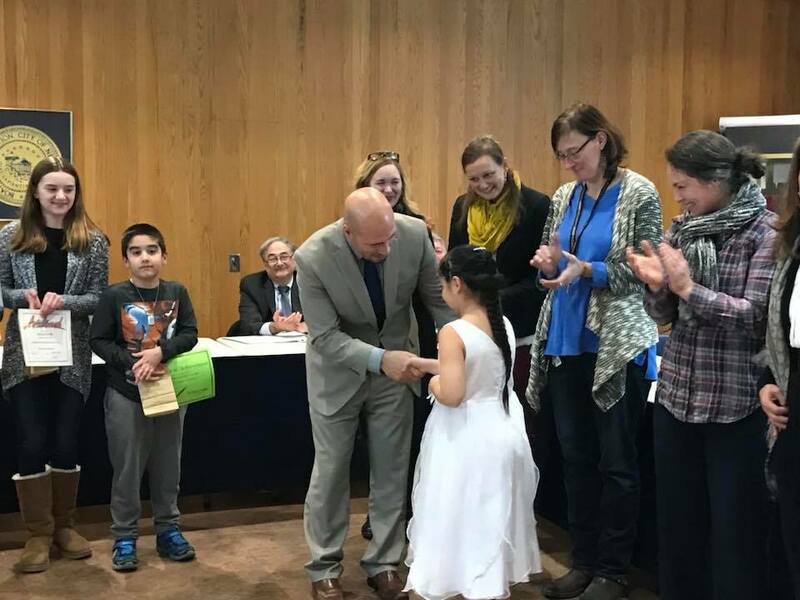 The contest was open to all students grades 3 through 8, and finalists were selected. 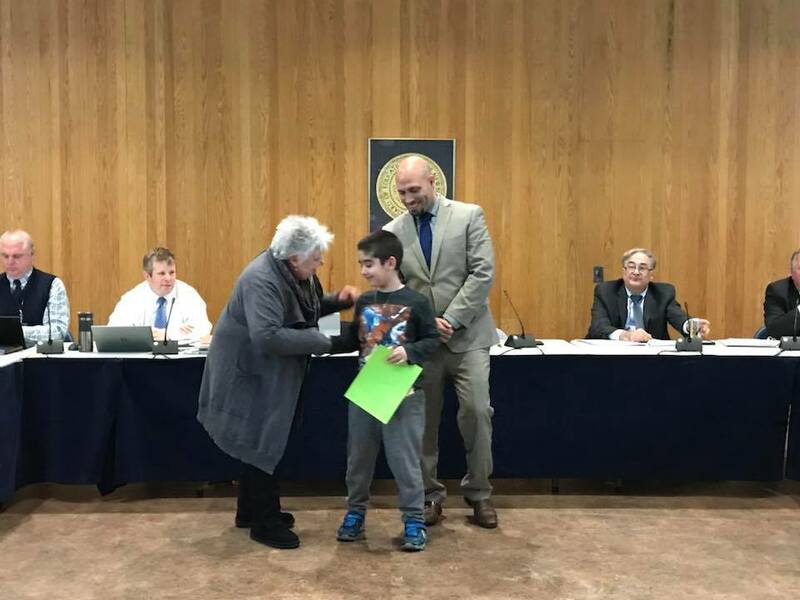 The finalists were able to have their art used as the formal invitation for the district wide Annual Celebration of the Arts event. ‪Make sure you join us on 2/21/18 for the district wide Annual Celebration of the Arts ... more information on this event coming soon, stay tuned!